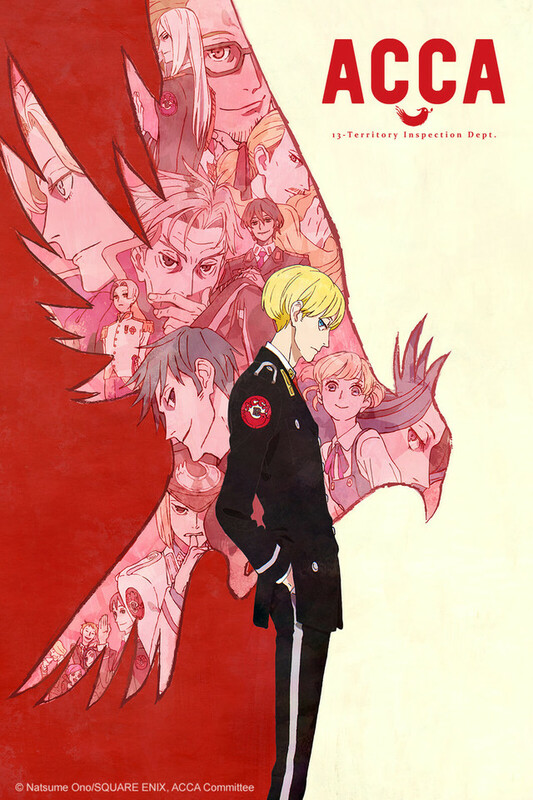 "ACCA" is a giant unified syndicate residing in a kingdom split into 13 autonomous regions. ACCA was formed back when there was threat of a coup d'etat, and it has continued to protect the peace of civilians for almost one hundred years. Jean Otus, the vice-chairman of the inspections department at ACCA headquarters, is one of the most cunning men in the syndicate's history with the nickname "Jean the Cigarette Peddler." Whimsically puffing his cigarettes, he wanders through the 13 districts, checking to see if there is any foul play afoot. Meanwhile, Jean is monitored by gazes, threatening rumors, and... snack time. Jean's quiet everyday life slowly gets swallowed up into the world's conspiracies!